This Functional Handle Folding Umbrella is versatile, sturdy and easy to use. With its revolutionary design, it allows you to hook a loop when you need to hang it at the door, kitchen or outside to dry. It has diverse usage as a school umbrella or something handy when travelling around. Its light weight material means it is the ideal ally for wet days, as it fits into every bag and is close at hand when the first drops start hitting the ground. With a functional handle, this makes the umbrella comfortable to hold and will free your hands in the rain. With its 54 cm panel length, 94 cm diameter and 200mm x 100mm decoration area, you can make a statement even when you choose to customise this umbrella. Umbrellas make fantastic marketing items because they have a long lifespan and proudly show your customisation to the world every time they're used. Our listed pricing includes one-panel printing of your logo in one solid colour. A print setup cost of $75 applies per colour/position. We can print in additional colours for a small charge, just let the friendly sales team know your requirements. 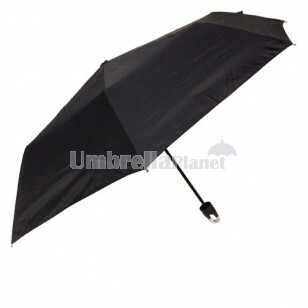 Umbrella Planet is Australian owned and operated so we can deliver umbrellas in two weeks to your East coast location. Regional and western areas please anticipated 3-5 days additional delivery time. We service all states and territories including NSW, ACT, VIC, QLD, SA, NT, WA, and TAS.